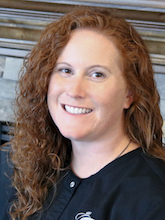 Robyn has been with Corpuz Family Dentistry since February 2016. Robyn and her husband Shawn have 2 boys, Logan and Jamus. She also has a Great Dane named Sadie. In her free time, she enjoys camping, hiking, and playing with her boys.